Do you often suffer from injuries but are unsure about the best way to assist in aiding your healing time? Look no further because you are in the right place! A simple yet effective trick at reducing pain and inflammation can be done via techniques such as cryotherapy (ice therapy) and thermotherapy (heat therapy). So, when are the best times to be use ice and heat? The use of ice is typically used for acute injuries in which tissues are inflamed and will feel red, hot and/ or swollen in appearance. 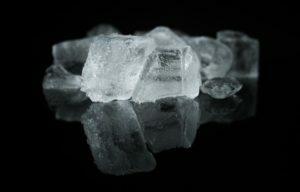 Since the inflammatory process can be painful, icing is used in a way that dulls the pain that you may be experiencing. Ice should be applied as soon as the injury occurs for 20 minutes and then reapplied every 1-3 hours. Continue to do this until inflammation has significantly reduced, usually within 24-48 hours. While icing can be beneficial in the management of acute injuries, heat has been proven to be beneficial in the treatment of chronic injuries. Heat has benefits in reducing the pain associated with muscle spasms and chronic injuries such as back pain. Prior to undertaking activity: to assist in warming muscles up and increasing muscle flexibility. 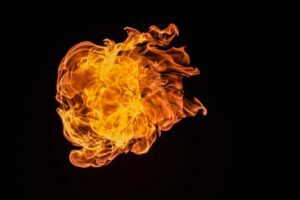 It should be noted that using heat for acute injuries often has a negative effect whereby heat causes inflammation to worsen. The same goes for icing chronic injuries or muscles spasms, in which the muscle tightens causing the muscle to create an increased level of pain. Ice and heat can be used in conjunction with each other as long as the inflammation from the acute injury has subsided. Typically you will apply 10 minutes of ice followed by 10 minutes of heat. ​This article was written by Lauren, one of our skilled Podiatrists. To book in with Lauren either give us a call or book online and select ‘Lauren’ as your practitioner.